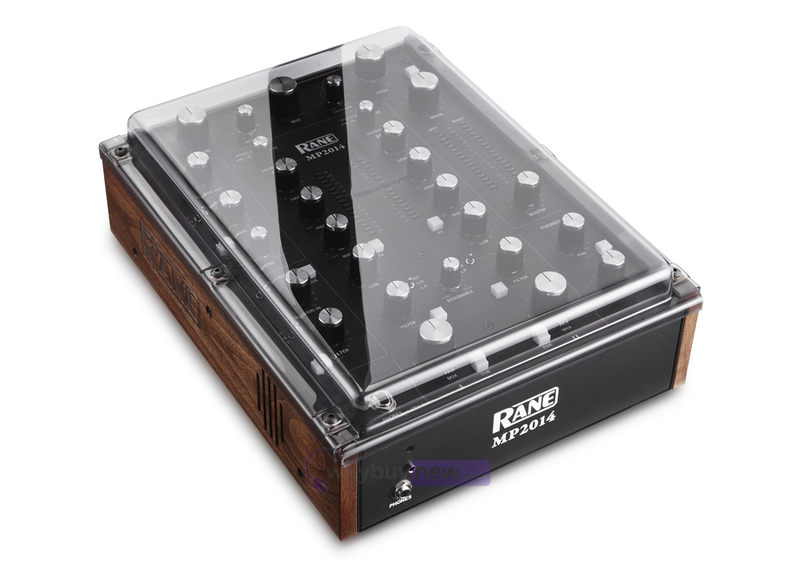 The Decksaver Rane MP2014 Cover is a smoked/clear cover which has been designed specifically to fit the Rane MP2014 rotary DJ mixer. 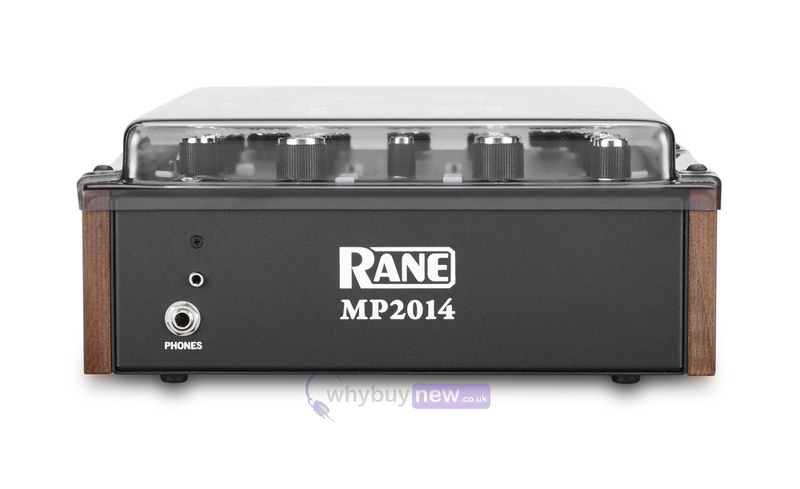 It features adjustable mechanical sides which adapt to differing tolerances in the MP2014's wooden side panels. 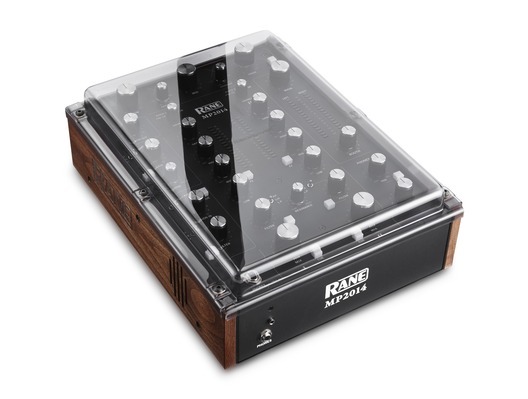 The cover fits the mixer snugly and is made from extra thick premium polycarbonate plastic which keeps the mixer away from dust, liquid and accidental knocks and bumps whilst on the road or in the club. 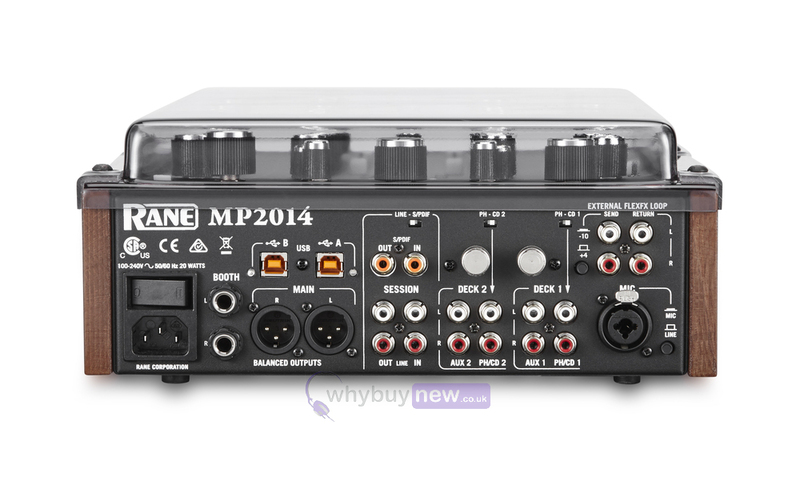 At home, on the road or in the club, Decksaver has your Rane MP2014 covered.